Published in 1939, this rare book is the first book published in the United States exclusively on the subject of glass paperweights, if not the world. It is preceded Bergstrom's book on Old Glass Paperweights by one year. The book is organized around 30 black and white plates, each with one, two or three paperweights plus a glossary. Smith based much of his information on discussions and interviews with American glassworkers, some of whom claimed to have made the paperweights featured in the book. 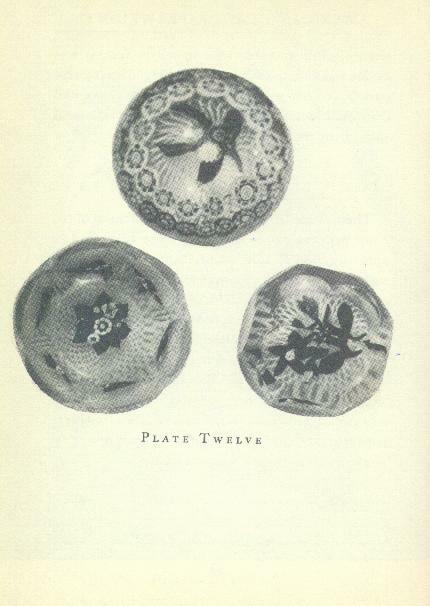 The book is an interesting early attempt to document the history of paperweights. It contains the earliest pictures of some kinds of paperweights, including antique American and French weights, American Millville and other frit weights, and even Murano and Whitefriars paperweight style millefiori glasses. Also included are some Chinese paperweights (sometimes incorrectly identified). All of this makes it a good addition to a serious collector's library. However, it should not be treated as an absolute reference, as there is also much incorrect information in it. Smith was misled by some of the glassworkers he relied on for information. 187 pages. 30 plates in black and white of paperweights, plus a frontispiece and one additional photograph of the NEGC warehouse. 5" by 7 1/4". Hard bound. 1939. 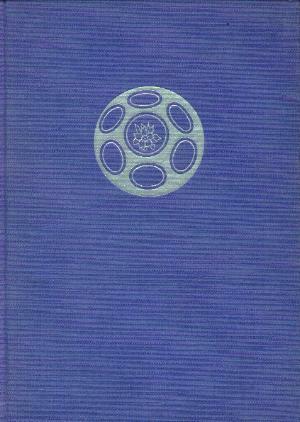 Note: The first 120 copies were published in blue covers (as shown). These copies were numbered and usually signed by the author. Most copies had a hand colored frontispiece. One known copy also has the 30 figures hand colored. An unknown number of copies were published in green covers. This later printing ended on page 173 after the List of Explanatory Terms. I have both printings in stock. Additional text (untitled) on chemicals used in glass making, the history of glass, and the history of glass making in New England. Click on the picture to see a plate from the book.